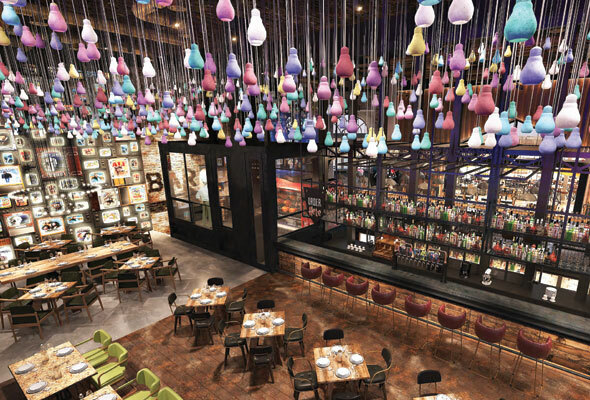 A major new dining and entertainment venue is set to shake up things at Atlantis The Palm early next year. Called Wavehouse, the new complex comes complete with a family-friendly restaurant, terrace and adult-only bar. 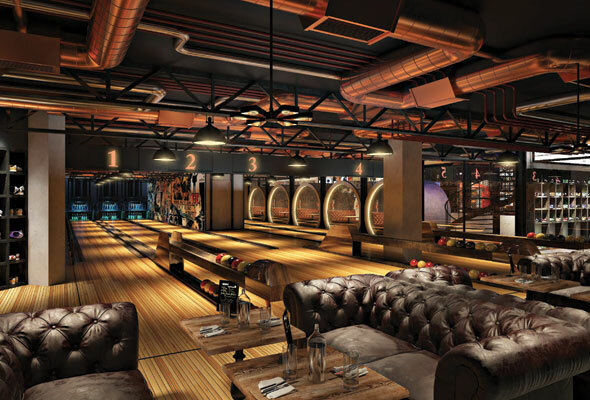 But it’s not just about dining, this exciting new project will also be home to a four-lane bowling alley, a climbing frame, a kids’ play area, gaming zone and even a dedicated Wave Rider. 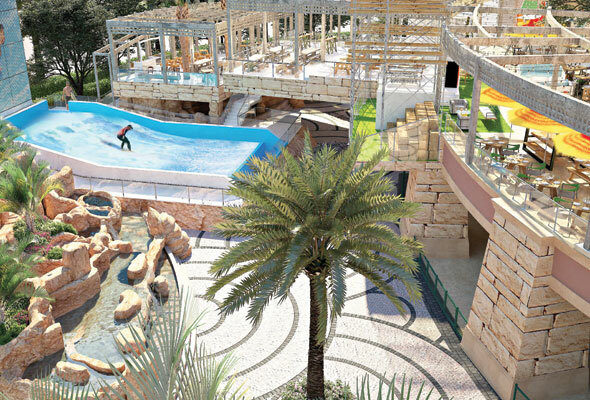 The project, a collaboration between Atlantis The Palm and Solutions Leisure (the hospitality brains behind Lock, Stock & Barrel, STK Dubai and Asia Asia), will overlook Aquaventure water park, and will serve as the only licensed venue immediately accessible from the waterpark. 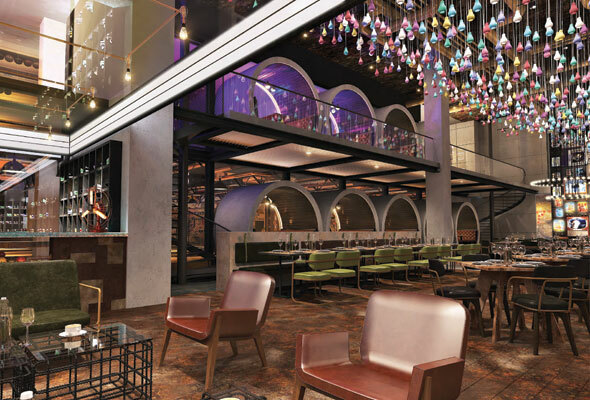 Described as a ‘rustic beach bar meets industrial gastropub’ Wavehouse is set to bring top-notch dining and family activities together. On the menu, you’ll find options for both the health conscious and the comfort food-seekers, with everything from gourmet burgers, mega shakes and pizzas to fresh salads and light bites. But it’s not just going to be a spot for chilled out afternoons grazing in the sun. Guests can expect an exciting program of live bands, DJs and various special events throughout the week across both indoor and outdoor stages. The big focal point at Wavehouse will be the high-tech Wave Rider machine which generates a true surfing experience for its users. Both guests of the waterpark and Wavehouse guests will be able to use it. Not such a waterpark fan? Then you can head to Levels; a modern take on the classic arcade and game zone. With fun for kids (and adults) of all ages, there will be a multi-level climbing frame as well as retro and new-age gaming consoles. We can’t wait to see it take shape.